Our Anti-doping Education is aimed at, but not limited to, all levels of coaches and support personnel, elite teams - junior and senior, and age group athletes training and competing in events. The main message is about is pretty simple "Strict Liability". I.e, "You (athlete) are solely responsible for any banned substance you use, attempt to use, or is found in your system regardless of how it got there and whether there was an intention to cheat or not". The main aim is to educate members, clubs, coaches and athletes to be aware about Clean Sport, to promote it and to avoid any inadvertent doping. 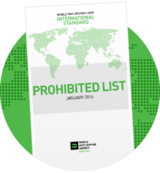 The WADA Prohibited List - changes every year - this year on 1/1/18- Important to recheck anything that you/an athlete takes every time. 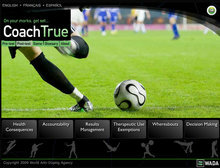 CoachTrue is a computer-based anti-doping learning tool made to cater to the various learning styles and demanding schedules of coaches. 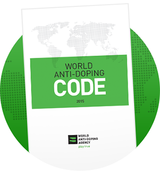 Look at the WADA (World Anti-Doping Agency) online education resource. Program Officer’s Tool Kit - As with a real ''tool kit,'' the material contained in the Program Officer’s Tool Kit is intended to provide the tools needed to build an anti-doping education program. Teacher’s Tool Kit - The Teacher’s Tool Kit contains a series of lesson plans and activity ideas that can be used by teachers to educate young people about the issue of doping in sport in the formal education system. Sport Physician's Tool Kit - As with a real ''tool kit'', the material contained in the Sport Physician’s tool kit is intended to help sport physicians develop anti-doping education programs which can be adapted and customized to suit local cultures, conditions and resources. Doping Control Officer’s (DCO) Training Tool Kit - The Doping Control Officer Training Tool Kit is intended to assist anti-doping organizations (ADOs) with the training of doping control officers (DCOs).